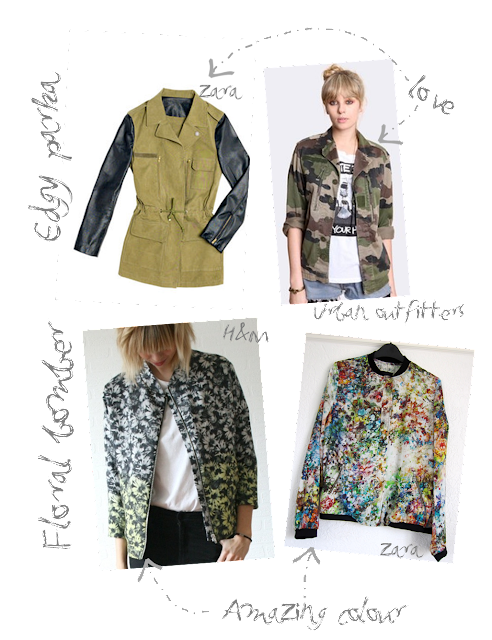 I want all of these jackets I have a thing for parkas and the leather sleeves on the Zara jacket are amazing and the great twist on a classic parka that this army jacket brings to the table is perfect for my style, I love them! As well as all that you already know I love bold floral prints and these bomber jackets epitomise my love for edgy pieces with the floral trend! I will be trying to get my hands on all of these.